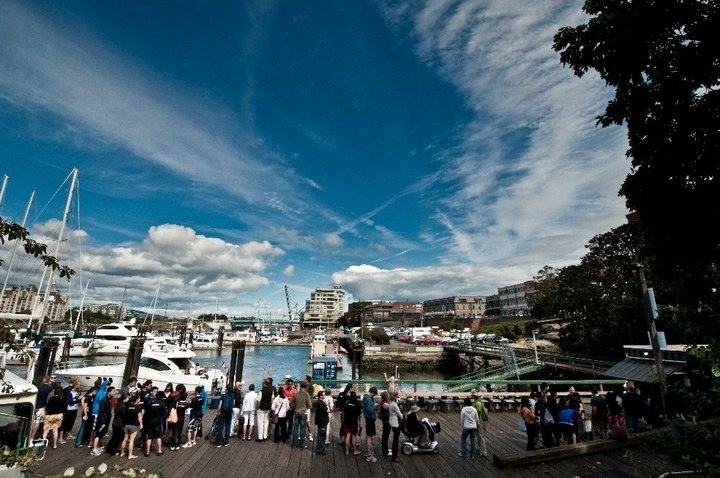 My brother and I were invited to paddle with Riptide this past weekend for the Victoria Dragon Boat Festival. 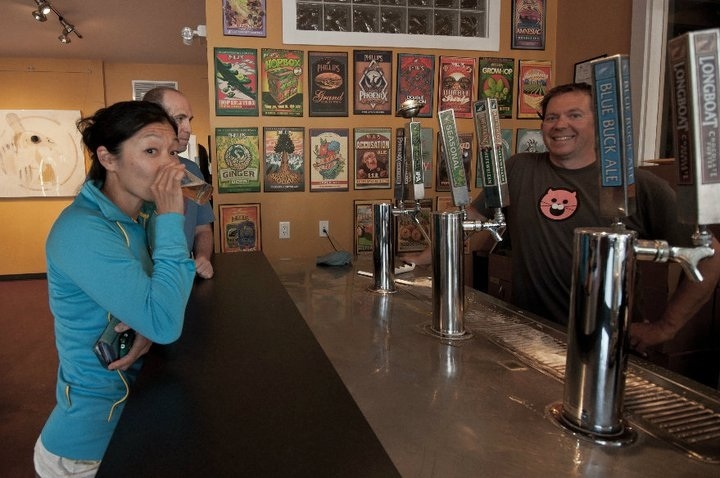 It was a great excuse to go over to the Island for a visit with Mark, Megan & co. and to search out new and exciting tastes. 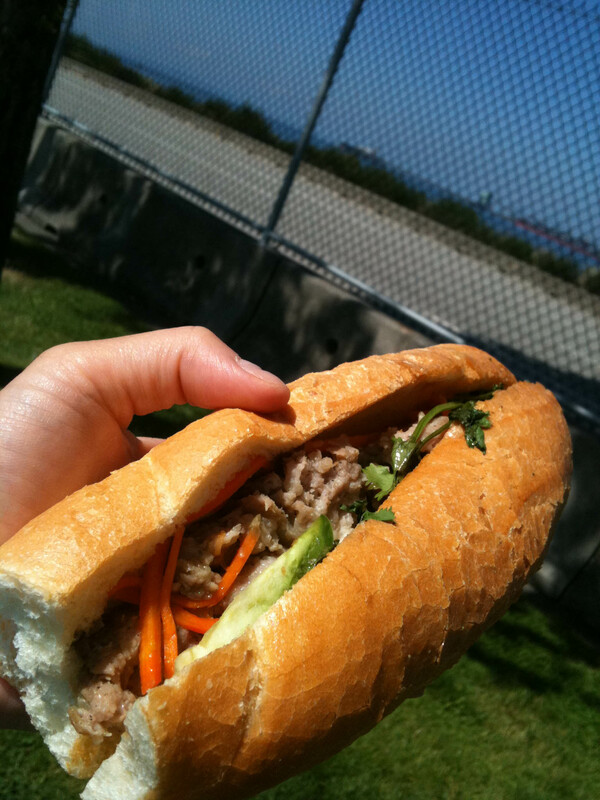 On our way to the ferry, we stopped at Au Petit Cafe because a Bánh mì is so much better than ferry food. I usually get the chicken but wanted to try the meatball (with hot peppers). Yum! I’ve found my new favorite from Au Petit Café. Arriving in Victoria on a hot summer’s day, we made a quick stop for at Italian Imports for another meatball sandwich, (equally delicious although totally different). 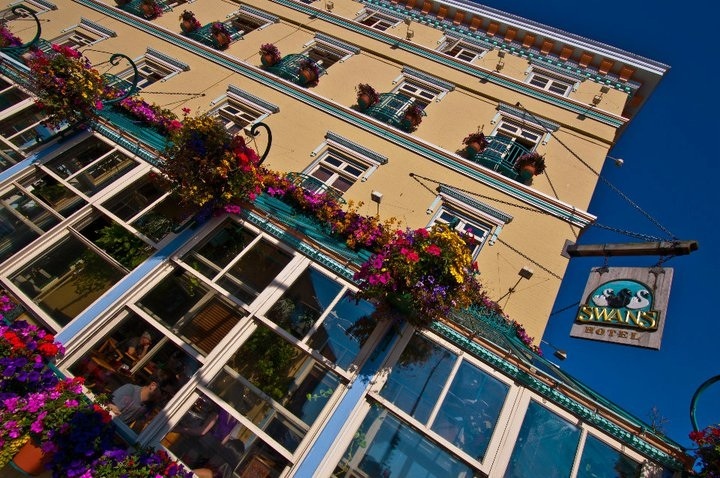 To make the most of the beautiful day, we stopped for a Friday afternoon pint. 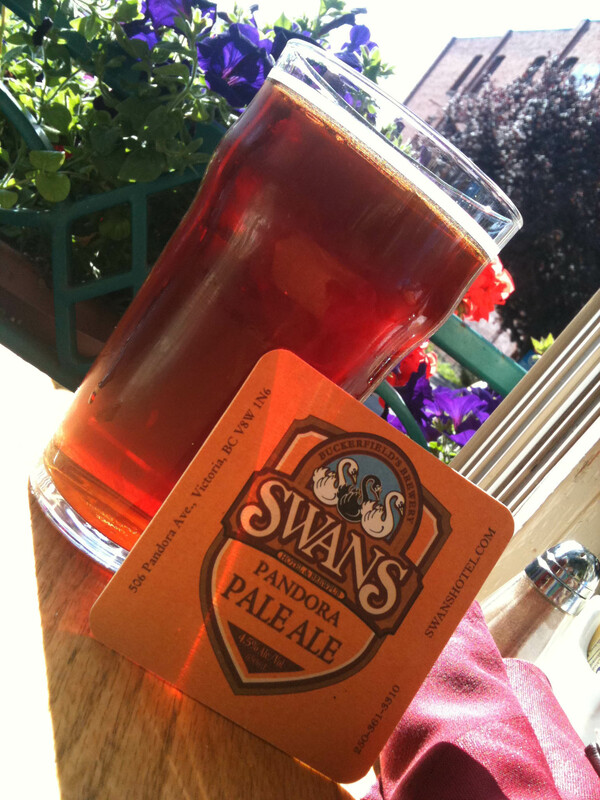 I chose Swans Brewpub because I like their beer and their pseudo patio. I thought I was ordering a Blackberry Ale, but it turned out to be Raspberry. Better than Granville Island’s but nowhere as summer-y as Whistler’s Grapefruit Ale. 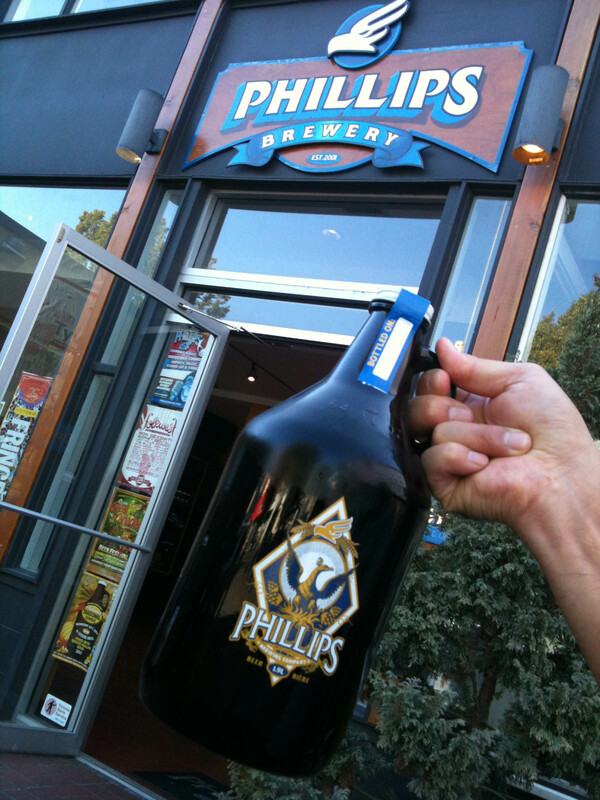 Funny thing though, in my mind I thought Swans was Phillips and so while I went expecting to have some Phillip’s beer, it didn’t quite turn out that way. Lucky for me, Phillips Brewery just down the road and although they don’t have a Brewpub, they did have a tap-room open for samples. While no one can top the eating experiences I’ve had on race days with Team LifeScan, Riptide is a food focused team as well. So much so, that as we were lining up for our morning race, we started talking about Red Fish Blue Fish and decided that “fish tacos” would be our motivation to race well. 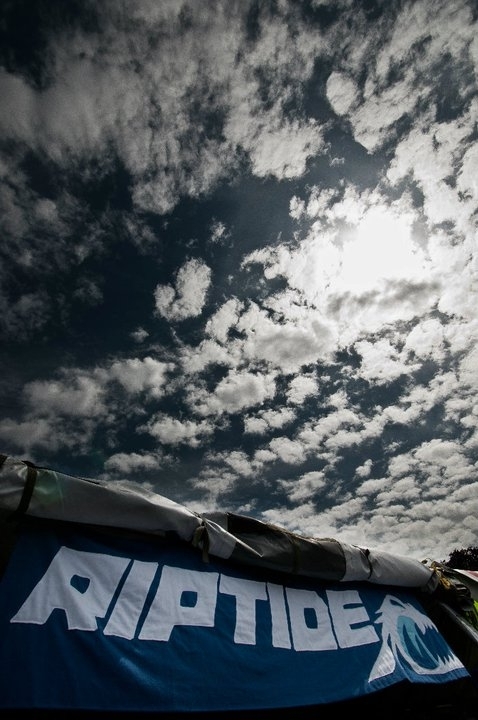 This is what the team was thinking about as we crossed the finish line 1st. The team was also 1st in line at RFBF at 11am, for their 11:30 opening. Good thing, because they ran out of the coveted scallop tacones right after the team went through the line. 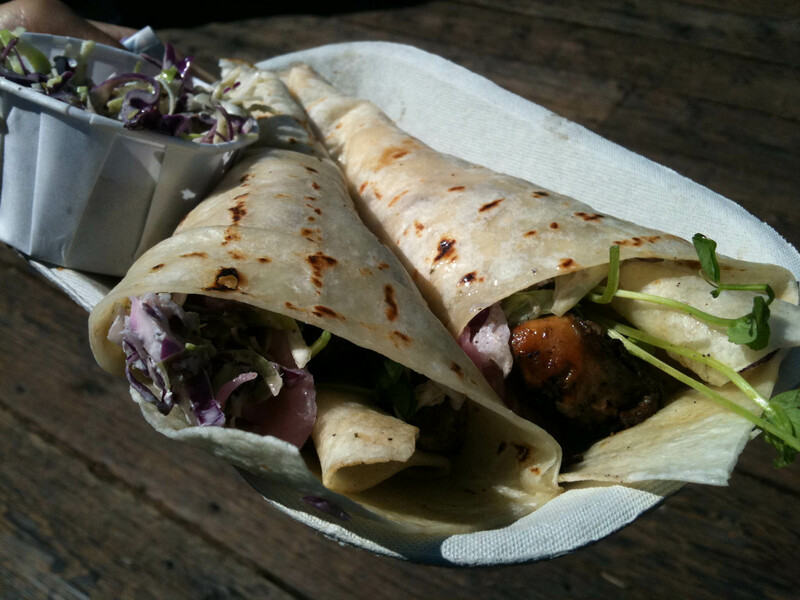 The bbq oyster tacone was very delicious. The oysters were abundant plump and flavourful, a great combination! 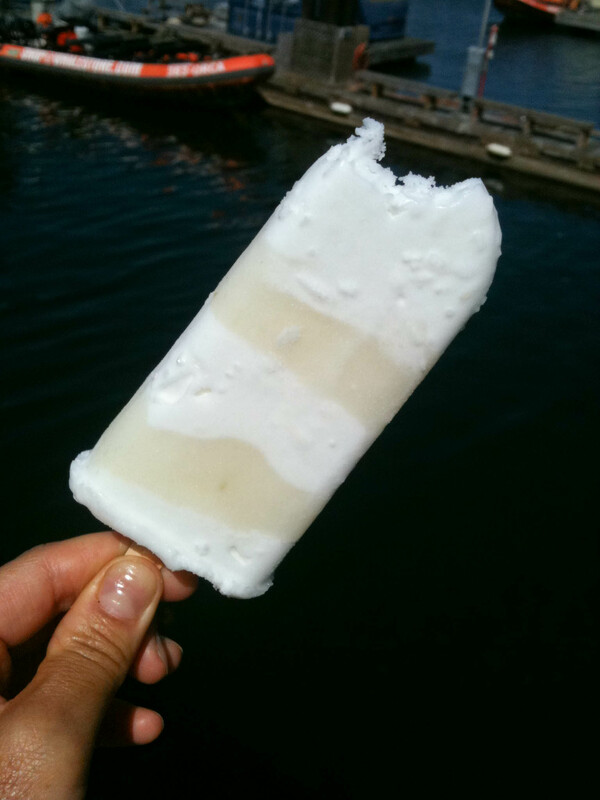 The highlight of my lunch was the coconut and lime paleta. At first bite, I thought that the coconut was too rich but paired with the tart lime, it was perfect. Wanting to take advantage of the lovely summer’s evening, a dinner of sausages thrown on the bbq was our plan. 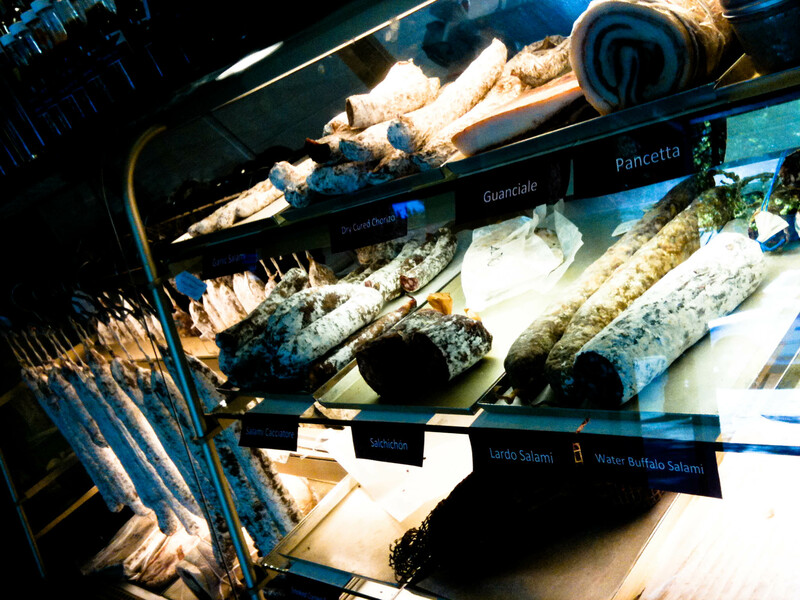 A quick stop at the charcuterie place in Oak Bay that Mark had been raving about and we were set for the night. 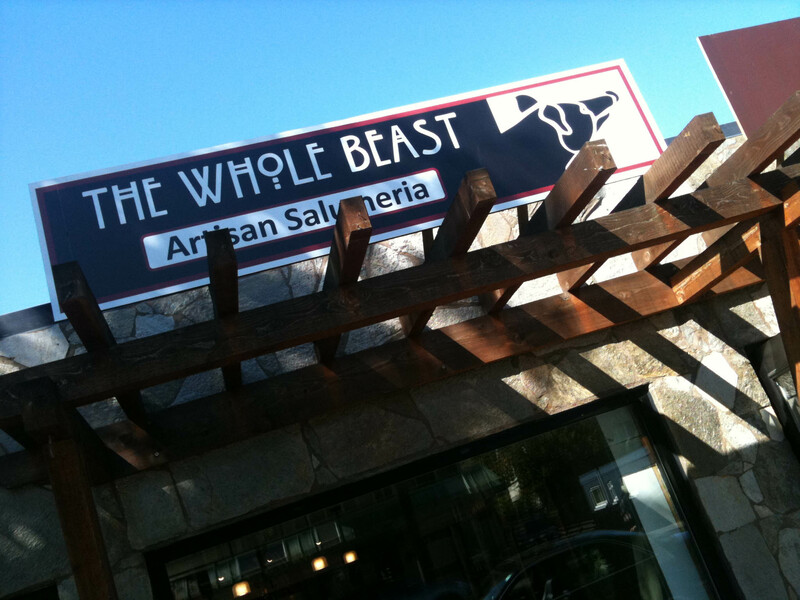 The Whole Beast which sells cured meats is connected to the Village Butcher where we bought our variety of sausages; Italian, Thai pork, Turkey with dried cherries and Bratwurst. Artisan Salumeria? Of course I had to pick up some road snacks! Spicy chorizo and garlic were my choices. My only regret? Not buying more! 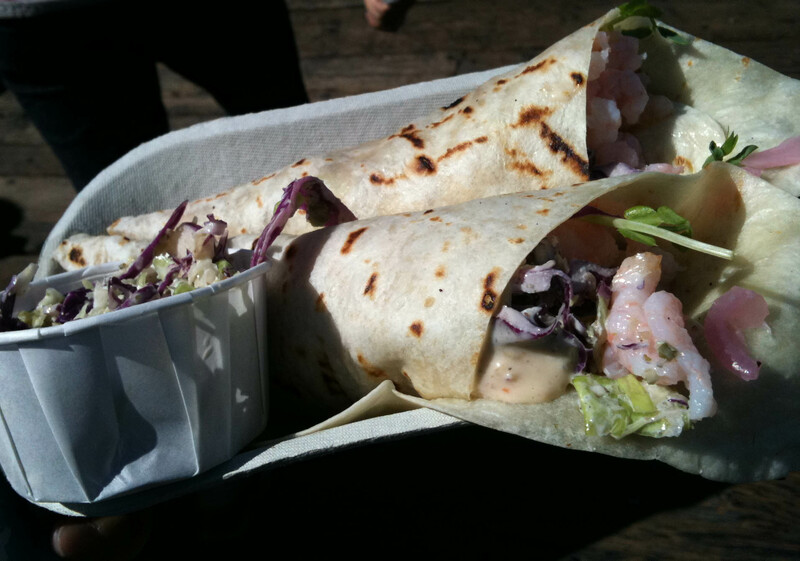 Instead, I chose another restaurant that I’ve had my eye on the last few times in Victoria. Billed as the “more flavourful Noodlebox”, there are hits and misses on the menu. I was just hoping to choose a couple of the hits. 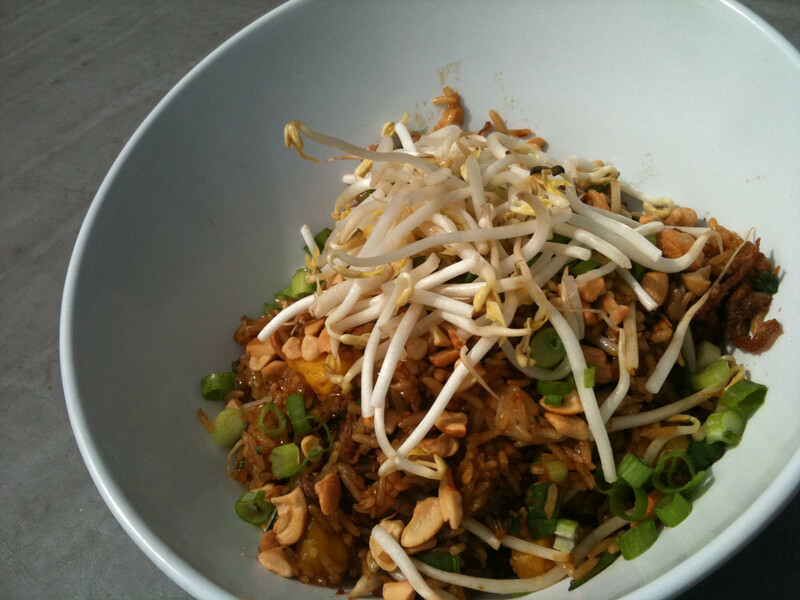 Pork and pineapple fried rice – Pulled pork, fresh pineapple, bean sprouts, Thai basil & scallions w/ roasted cashews. I was so hungry, I was hoping to just shovel the rice into my mouth but the pulled pork was a bit too rich to accomplish that. 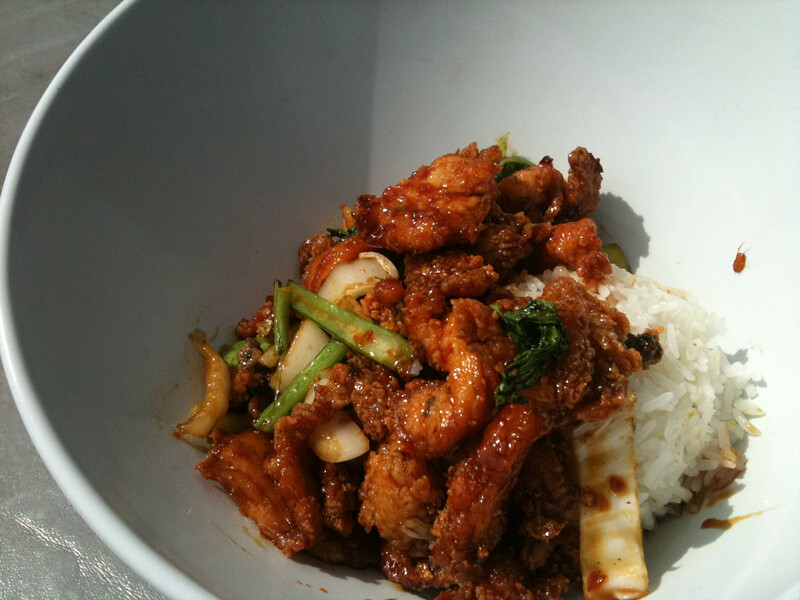 Caramel chicken – Crisp chilli caramel glazed chicken, fresh ginger & Chinese greens w/ steamed rice. I liked this dish, but wanted more crunchy vegetables. 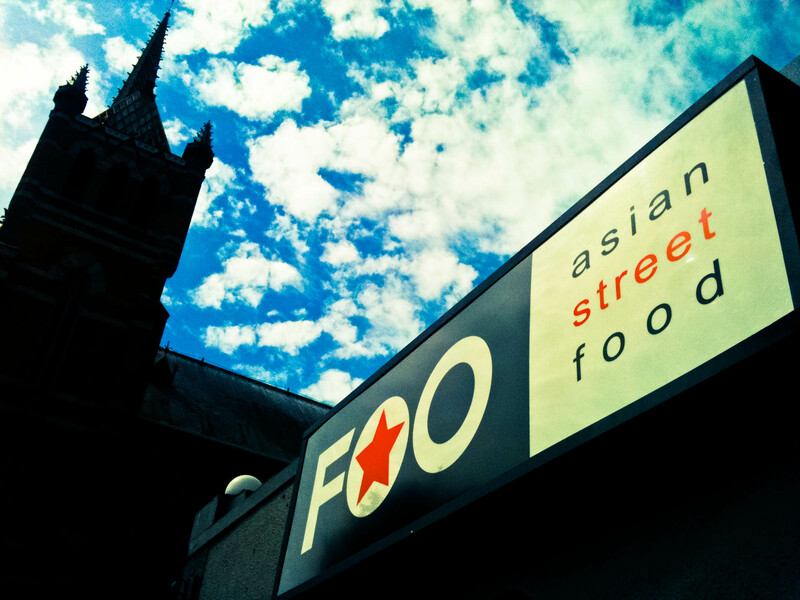 My thoughts on Foo? It’s no RFBF, but it wasn’t horrible. Maybe I’m being hard on it because I really just wanted to shovel some sustenance into my body and both dishes were a bit on the sweet and had too much sauce to carb ratio, (which to some wouldn’t be a bad thing). 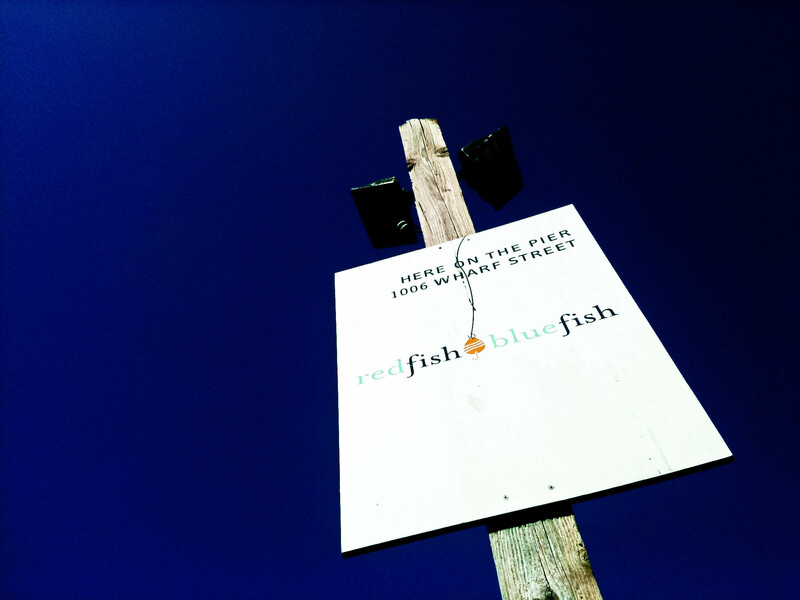 Maybe I should have just been patient and waited in line again at Red Fish Blue Fish. All in all though, I can’t complain. The weekend held some fabulous food and drink memories coupled with some great racing with new friends and an overall 7th place finish in the festival. What more can a girl ask for? Oooh, I would have liked the caramel beef and the extra rice thing sounds like the perfect solution!